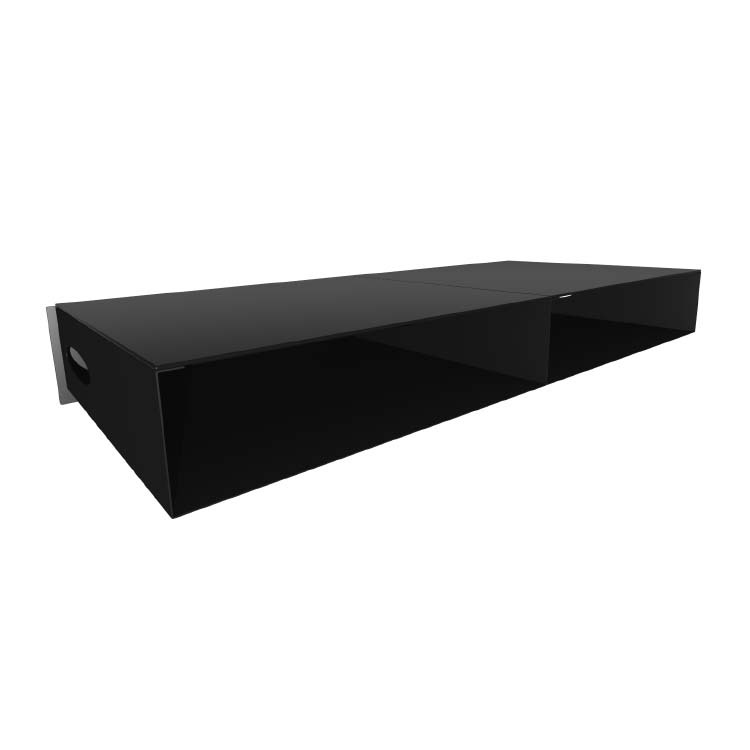 More on the Cambre SkyCube Double Wide Wall Mounted Component Cabinet (Black Glass Top) CDE2.4 below. 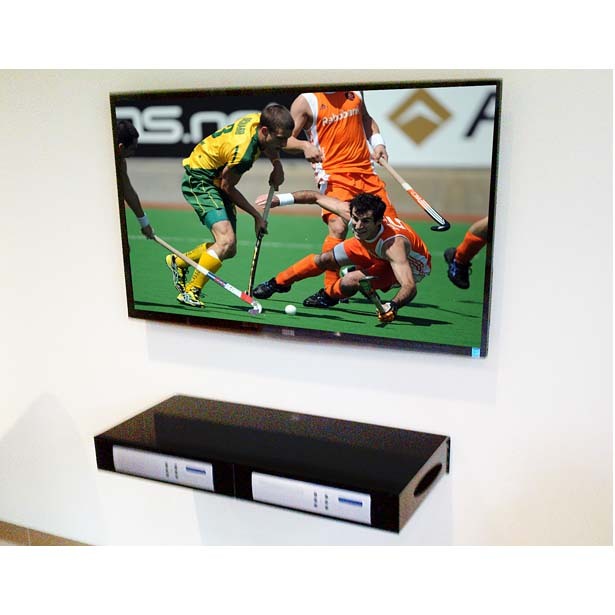 The SkyCube by Cambre is an innovative on-wall audio video cabinet storage system that is great for audio components, small TVs, gaming units, or used as wall mounted desks. 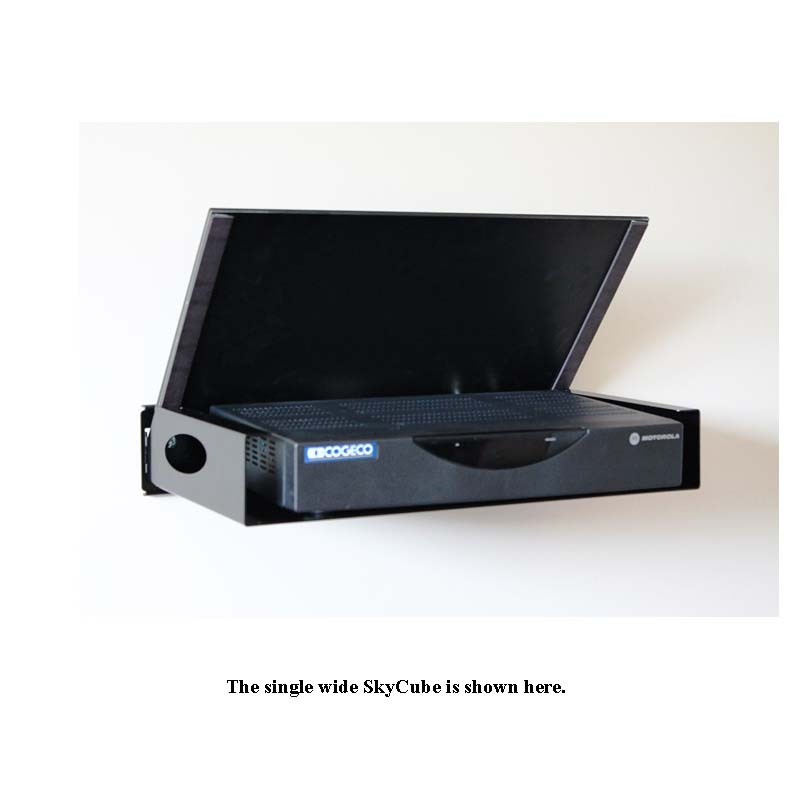 Skycube is designed to mount independently or can be combined with additional pieces for a unique and individualized look. Each unit has a magnetically adhered top for quick access to the components. With only 3 pieces per unit, installation is quick and easy. Each unit comes with included cable management. The sleek black tempered glass provides a high tech look for the modern living environment. 4 inch height and double wide 35" width. Sturdy, reliable support for components up to 50 lbs. Black tempered glass top and metal body. Magnetic closure lid allows easy access to your electronic components. Side vents provide necessary ventilation to keep your components cool. 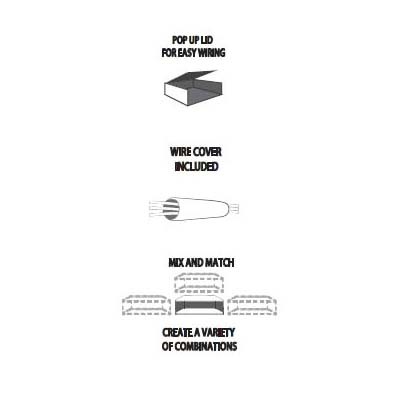 Includes wire wraps cable management system for a professional, finished appearance. 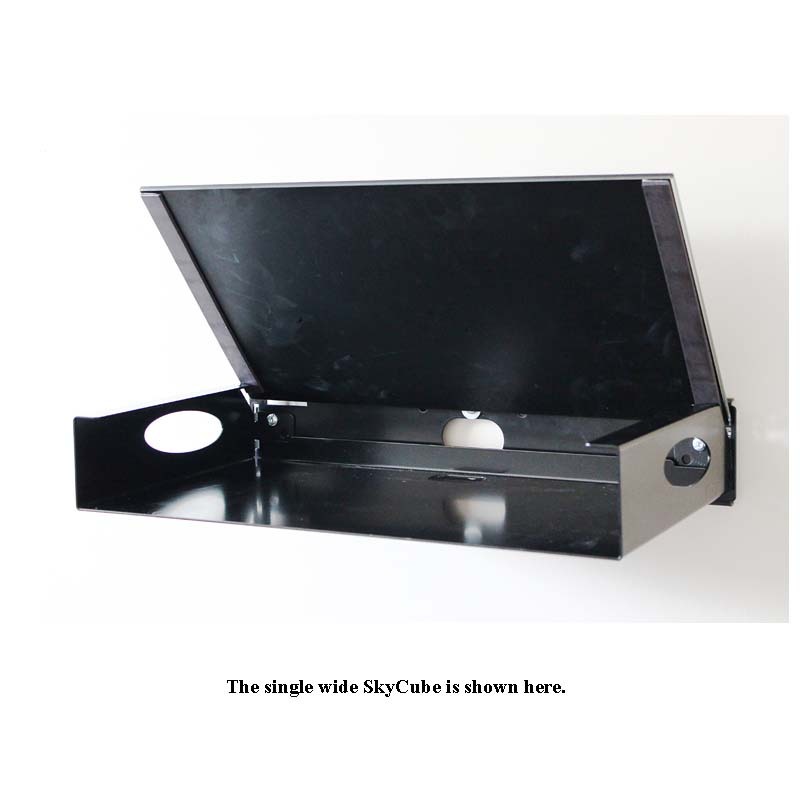 Can be combined with other SkyCube cabinets to accommodate your exact needs. 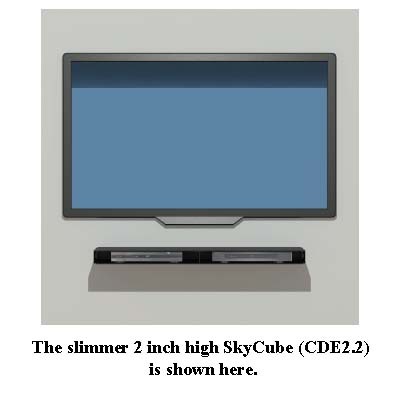 *Also available in a slimmer 2 inch high version (CDE2.2) as well as a single wide (17.5"W) version (CSE2.4). See the related products below. Forest Friendly Products - Cambre's products are produced from well managed forests that protect wildlife habitats, endangered species, and ensure clean water by respecting rivers and waterways. Our wood products do not come from areas of social conflict, genetically modified trees, high conservation forests and large scale conversions that replace native trees with faster growing non-native trees.